Many visitors come to Padua and see no other sight. The exterior of this chapel, standing alone since the connecting palazzo was demolished, seems unremarkable. But inside are some of the most famous and important paintings in Europe, Giotto's frescoes of the stories of Mary and Jesus. When Enrico Scrovegni commissioned the building of a private chapel at the beginning of the fourteenth century, he spared no expense. The building was painted by Giotto and contained statues by Giovanni Pisano, two of the most important artists of their day. Giotto's frescoes cover the walls of the church, meticulously restored and glowing with colour, and represent a landmark of European art. 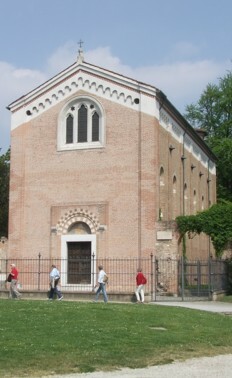 Visits to the Scrovegni Chapel (Cappella degli Scrovegni) are regimented. You must collect your pre-booked ticket at least an hour before your visit. Then you should arrive a few minutes early at the chapel, having left your bag in the free cloakroom in the main museum building. For 15 minutes you sit through an audiovisual presentation - this is also an acclimatisation zone to protect the frescoes. Then the 25 members of your timed group are ushered into the chapel and allowed 15 minutes to look at the paintings. We'd advise doing a little background reading before you visit. You don't have long to look at the frescoes, and this will give you an introduction to the stories depicted and some context for appreciation. Don't forget to look at the statues on the altar by Giovanni Pisano - compare the flowing robes of his Madonna to Giotto's painting of Mary on her wedding day. The Civic Museums (Musei Civici) are part of the same complex as the Scrovegni Chapel. To visit the museums, you'll have to bypass the officious staff who insist on checking your chapel booking time whenever you're within twenty feet of their buildings. Having insisted that yes, you really do want to see the rest of the museums, you'll find yourself without much company as you explore the town's extensive archaeological and art collections. The Museo Archeologico contains an assortment of local archaeological finds, combined with items from private collections. There are Roman statues and funeral stele, vases from the south of Italy, Etruscan grave goods from Cerveteri in Lazio, and a small Egyptian collection. The Pinacoteca (art gallery) upstairs is vast, mostly deriving from a bequest with the condition that all the paintings should be on display together. There is simply too much here for the non-specialist. But some of the works are first-rate, and shouldn't be missed. Among them is an exquisite crucifix painted by Giotto. Despite the queueing groups ushered in and out of the 'must-see' chapel a few minutes away, few tourists seem to bother with this, rather like the queues in Florence who only want to see David. When I visited in Spring, the chapel was fully-booked but I was all alone in the art gallery next door, admiring as well as the Giotto crucifix, other fine paintings by artists like Titian, Tintoretto, Veronese and Tiepolo. Before leaving the area of the Musei Civici, visit the church next door, if it's not closed for lunch. The original Chiesa degli Eremitani was nearly destroyed in Second World War bombing, but some of its fine frescoes by Mantegna have been painstakingly restored and can be seen in the reconstructed church. Sitting between the marketplaces of Piazza delle Erbe and Piazza della Frutta is the large medieval hall of the Palazzo della Ragione. 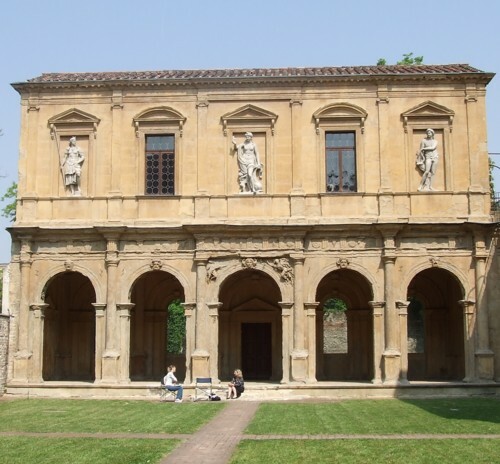 Originally Padua's law-courts, the building consists of one vast hall - known as il Salone - with a loggia each side. The historic markets extend under the building - a good place to buy a snack or picnic. The Salone once had a ceiling (later destroyed by fire) covered with stars painted by Giotto and his workshop. Entering via an external staircase and loggia, you find yourself in a lofty dark space. Once your eyes have accustomed themselves to the gloom, fantastical frescoed details begin to appear on the walls. One end of the room is dominated by a huge wooden horse, modelled on Donatello's equestrian statue outside Il Santo. At the other end is a stone block, the thirteenth-century 'Stone of Shame' where bankrupt debtors were compelled to sit in their underwear and state that they renounced their possessions before they were banished from Padua. If they were caught here again, they had to go through the same process while having three buckets of water poured over their heads. Entrance to the building is free with PadovaCard; opening hours are 9am-6pm (November-January) or 7pm (rest of year). Closed Mondays. Padua's cathedral (Cattedrale or Duomo) is dedicated to Santa Maria Assunta and stands on medieval foundations. The current building was designed in the sixteenth century. Rather more exciting is the Baptistery (Battistero) next door. This dates to the twelfth century and its interior is completely covered with a colourful fresco cycle dating to the fourteenth century, by the Florentine Giusto del Menabuoi. The dome is illustrated with representations of heaven, while the walls feature Biblical stories, including some lovely pastoral scenes (and camels) in the tale of Jacob. If you want to study the paintings in detail, bring a pair of binoculars, or a mirror to save your neck muscles. Entrance is free with PadovaCard and the building's open 10am-6pm apart from a few public holidays. One of Italy's most famous cafes, the Pedrocchi is a grand and expensive place to stop for a drink. The coffee house was opened in 1831 and became a Padua institution. The grand first floor, the piano nobile, was designed in an opulent style for parties and balls, with rooms reflecting different fashionable styles and themes. There is an Egyptian room, a Renaissance room, a Roman room and so on. The piano nobile is open to the public (free with PadovaCard), via the entrance on the right-hand side of the facade. The first part of the itinerary takes you through the grandly-decorated rooms. We like to imagine it as it first opened (the paint was still wet), with local high society wandering these rooms for the first time. Perhaps they would have marvelled wide-eyed at the fake porphyry in the Egyptian Room, and admired the flying maidens on the walls of the hall dedicated to Rossini, or perhaps they too might have been a trifle amused by the whole thing. After this comes a small Museo del Risorgimento, a museum of the Italian Risorgimento. Displays are in Italian, and if you're not excessively interested in this era of Italian history, you may wish to accelerate through this section. Opening hours are 9:30-12:30 and 3:30-6 (closed Mondays). The Cornaro Odeon and Loggia (Odeo e Loggia Cornaro) are two of the loveliest buildings in Padua; absolutely beautiful examples of Renaissance architecture. The two buildings were built in the early sixteenth century by the architect Giovanni Maria Falconetto for his Venetian patron Alvise Cornaro, and were used for elegant entertainments: aristocrats put on popular plays in the Loggia, while the Odeon, painted with Renaissance grotesques, was used for musical concerts. They've been restored recently, and the romantically-weathered sandstone has been cleaned. Admission is at intervals, and the attendants will allow you to wander - ask them if you would like information or a tour. Entry is included with the PadovaCard. The opening times are Tuesday-Sunday 10am-1pm, and weekend late afternoons for three hours, varying according to season. If you miss the limited opening times, you may still be able to view the buildings through a gateway, should the courtyard's outer entrance stand open. This grand church has been an important pilgrimage destination since the thirteenth century. Dedicated to St. Anthony of Padua, it is known simply as Il Santo, the Saint. The tomb of the saint is in the Cappella di Sant'Antonio , along with bas-reliefs depicting his miracles by sculptors like Antonio and Tullio Lombardo and Jacopo Sansovino. In front of the basilica is Donatello's famous equestrian statue of the condottiere Gattamelata; more works by the artist are inside the church around the high altar. It's worth visiting the basilica's website (see link on the right) for an account of the opening of the saint's coffin in 1981, and a description of the church's relics, including his tongue. The basilica opens at 6:20am and closes at 7pm (winter) or 7:45pm (summer). 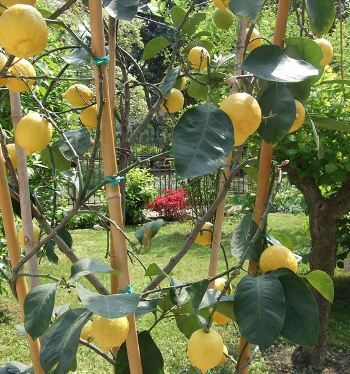 Padua University's Botanic Garden is the oldest of its kind in Europe. It was created in 1545 as a collection of medicinal plants; its scope later broadened and it's now a lovely spot packed with rare and interesting plants, tended by a phalanx of busy gardeners. Over the centuries the garden inspired the creation of similar collections throughout Europe and its importance is now marked by its status as a UNESCO World Heritage Site. A little visitor centre just outside the garden has some interesting information boards in English, and photographs of the garden in different seasons. Open April-October 9am-1pm and 3pm-7pm; November-March 9am-1pm only. Free with PadovaCard. A short walk from the Orto Botanico, this public square (or oval) is often said to be the largest piazza in Italy. The centrepiece, surrounded by a road, is a green public park on an island. A picturesque canal surrounds it like a moat, crossed by four bridges and guarded by statues of local worthies. It's a very attractive spot, of which the town is rightfully proud, and you shouldn't miss seeing it when you're in Padua. A bus stop alongside the piazza offers the opportunity to return to the centre or the railway station if your feet are tired. We've barely touched upon the interesting churches of Padua. Other places to visit include the Oratorio di San Michele, an oratory originally founded in the sixth or seventh century, now decorated with frescoes painted by Jacopo da Verona in 1379. A walk around the town centre will allow you to see some fine architecture, such as the Palazzo del Capitanio, another work by Falconetto, which incorporates a grand clocktower over an arch. The ancient University of Padua has its principal headquarters in the Palazzo Bo (guided tours available), which features architecture ranging from the sixteenth century to the twentieth century.